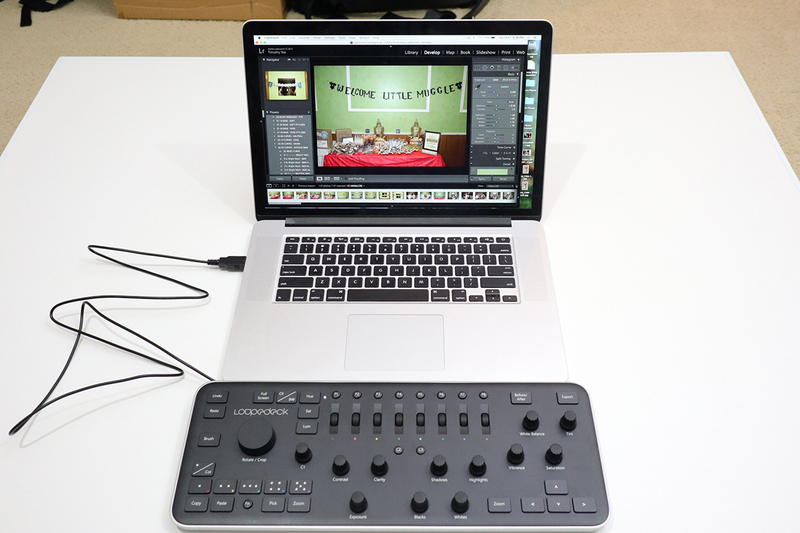 Overview : Loupedeck, the photo editing console for Lightroom: it takes your photo editing to the next level. It makes your editing faster, improves the ergonomics and most of all, it lets you be more creative and focus more on the photo. The hands-on and highly intuitive console replaces the mouse and keyboard, and it works seamlessly with Apple and PC operating systems. Simply plug and play. 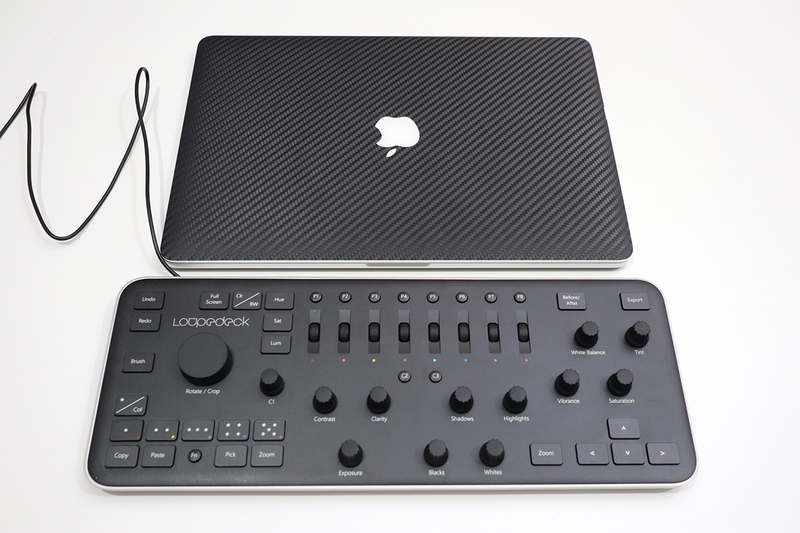 Improve your photo editing efficiency in Adobe Photoshop Lightroom 6 or CC with the Loupedeck Console. 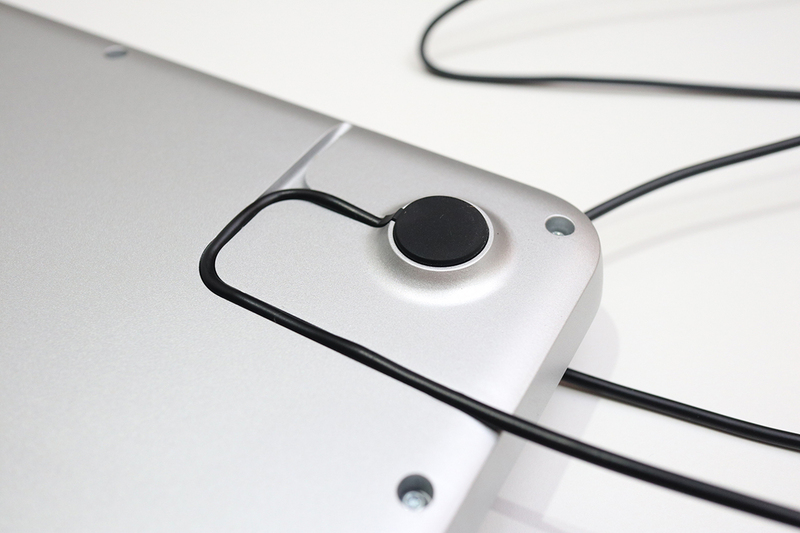 This device replaces your standard keyboard and mouse and provides a variety of dedicated dials, wheels, and keys for intuitive, tactile editing. This includes controls for settings such as exposure, clarity, image ratings, contrast, tint, and more. 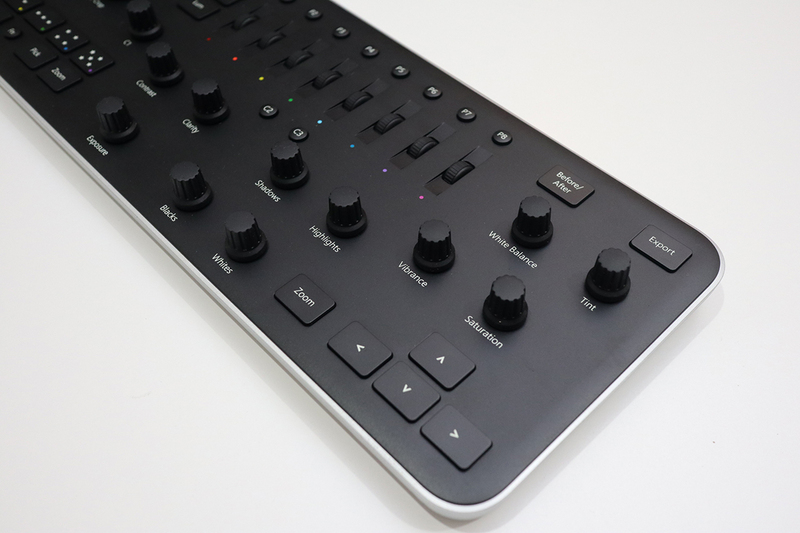 It also features programmable preset buttons for even faster editing. Additionally, it connects to computers through a standard USB 2.0 interface. EASE AND SPEED of the photo editing process transforming the way users think about time management, workflow, posture and ergonomics. IMPROVED WORKFLOW, meaning a reduction in the amount of unnecessary interruptions. EASILY INVESTIGATE new editing techniques to broaden your creative horizons. LEARN TO RE-LEARN - break your old-school rules and release your full potential. INCREASED OUTPUT let users work quickly, editing thousands of pictures to make the ones that count stand out. SEAMLESS AND INTUITIVE collaboration between the eyes and hands, allowing users to focus on the picture for an intuitive and rewarding photo editing experience. Quality/Usability : If you're a photographer and edit in Lightroom, post processing images especially when you have hundreds of them can be time consuming. What if there was a way to cull through images and process them more efficiently and quickly? I have a Behringer X-Touch Mini paired with a MIDI2LR open source program. 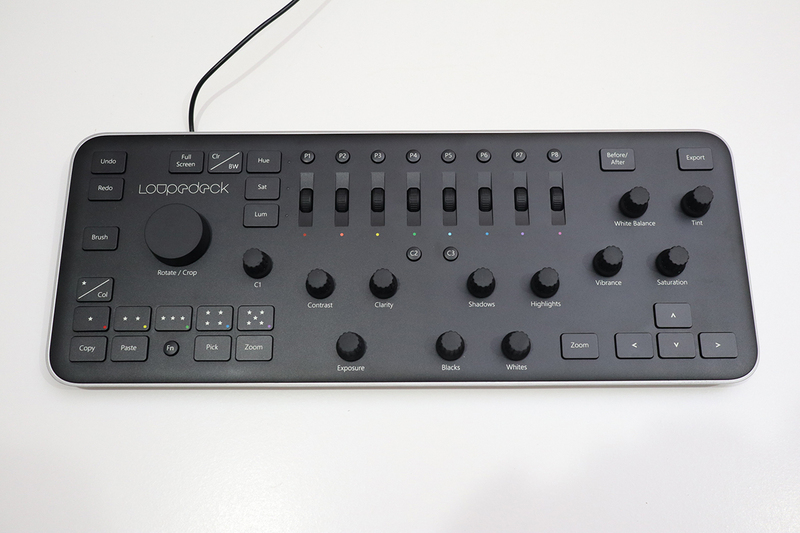 This worked great, it's configurable but I wanted something that was a bit more streamlined and that was when I found Loupedeck. 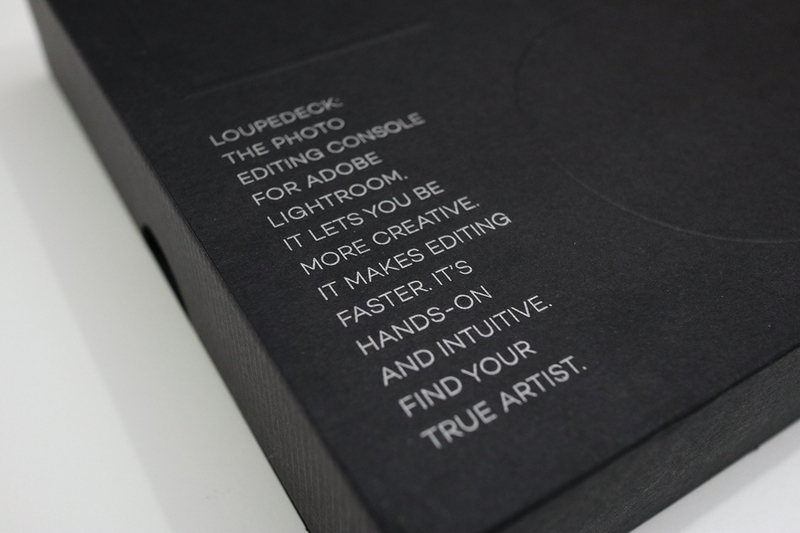 Loupedeck is an editing console designed for people who edit their photographs in Adobe Lightroom (6/CC) and is targeted at hobbyists, serious amateurs and professional consumers. With digital photography, editing has become a vital part of producing a photograph. 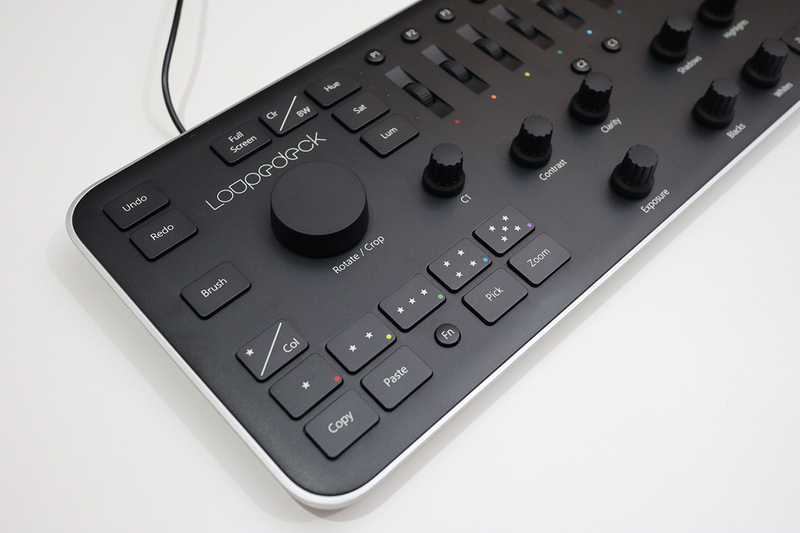 The main purpose of the Loupedeck is to make the process of editing quicker, but it should also be looked at as a way of maximizing the potential of your editing skills and the fine level of control that’s made available at your fingertips. 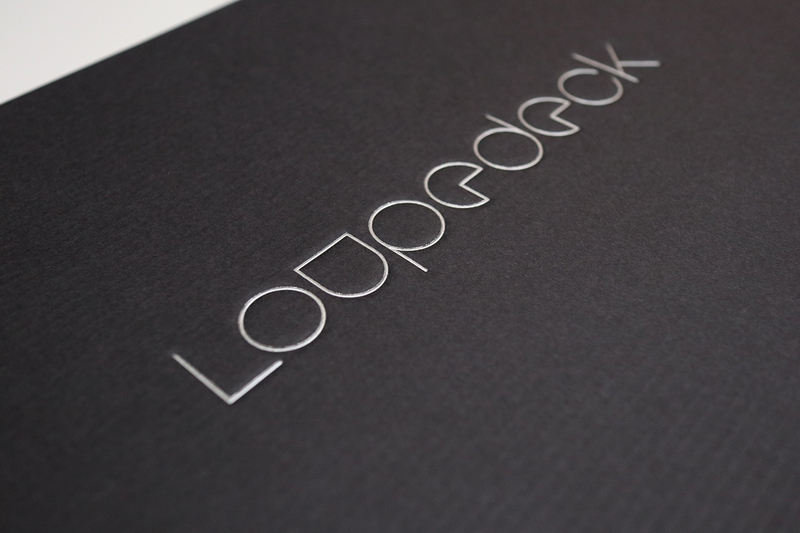 Loupedeck was created off the back of a successful Indiegogo fundraising campaign, where more than 1,400 backers pledged €366,361 (over $425,000 USD) to bring the project to life. 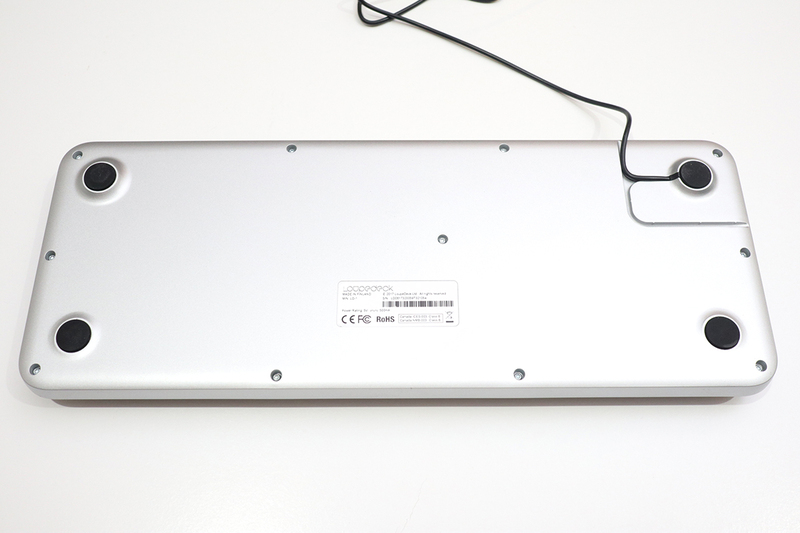 It’s a rectangular board that’s around the same length as an average keyboard. 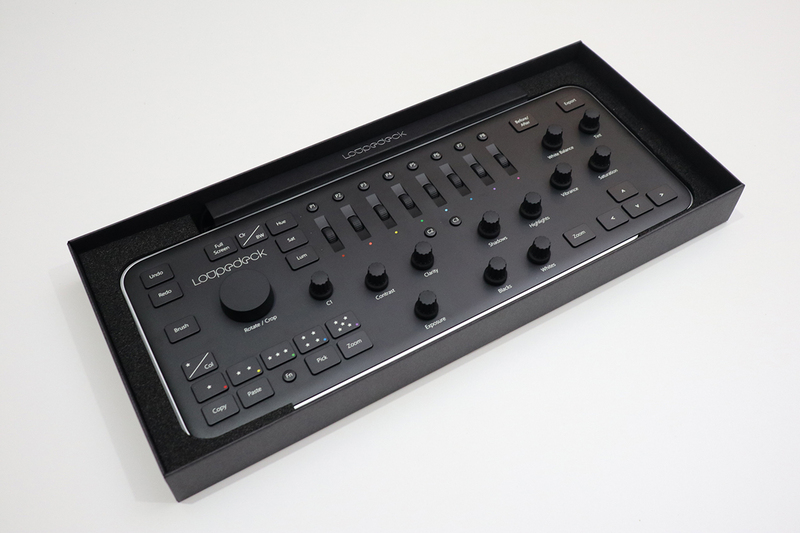 It features a plethora of buttons, dials and and knobs that are used to take control of the most important and regularly used functions in Lightroom. 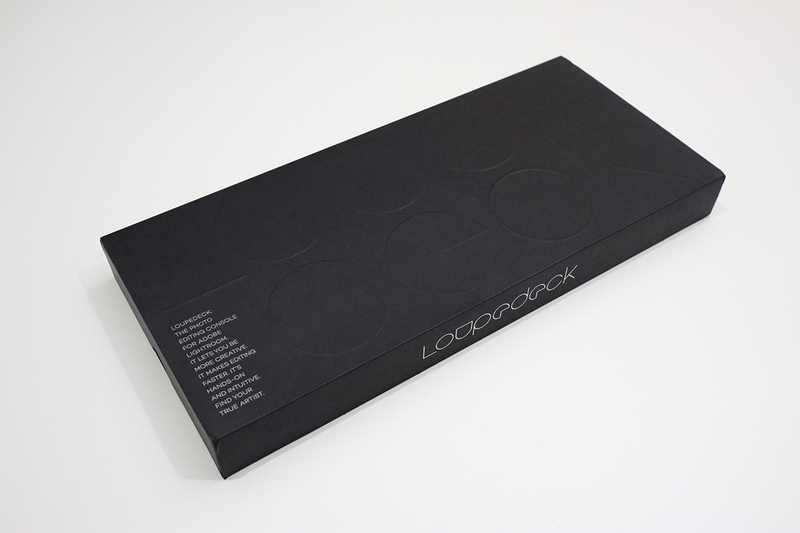 The packaging of the Loupedeck is simplistic and very nice looking. 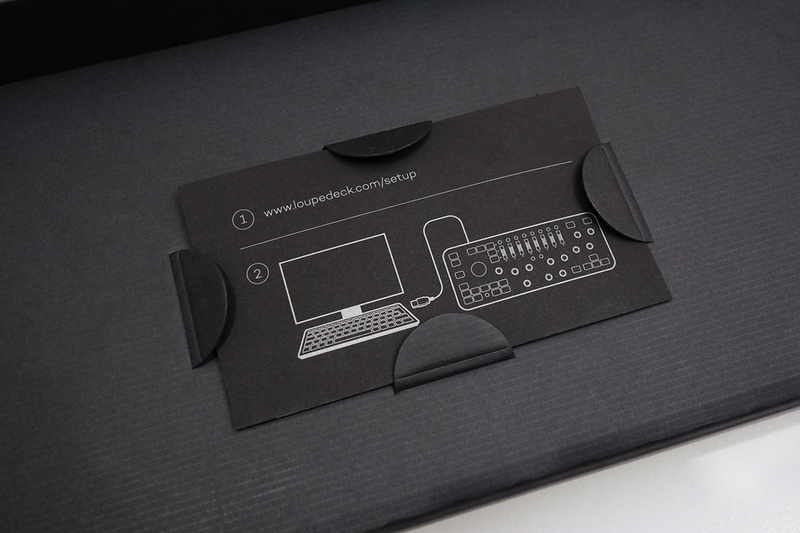 Once you remove the outer cardboard, you're presented with the main box and when you remove the top cover, the first thing you'll see is the Loupedeck. There's a small thin box above it that houses the USB cable neatly. 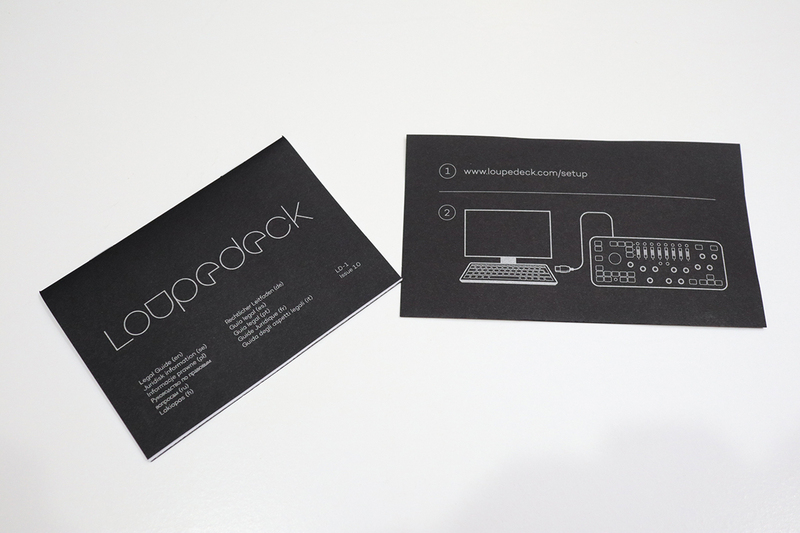 When the Loupedeck is removed from the box, there is a small setup card and a booklet. 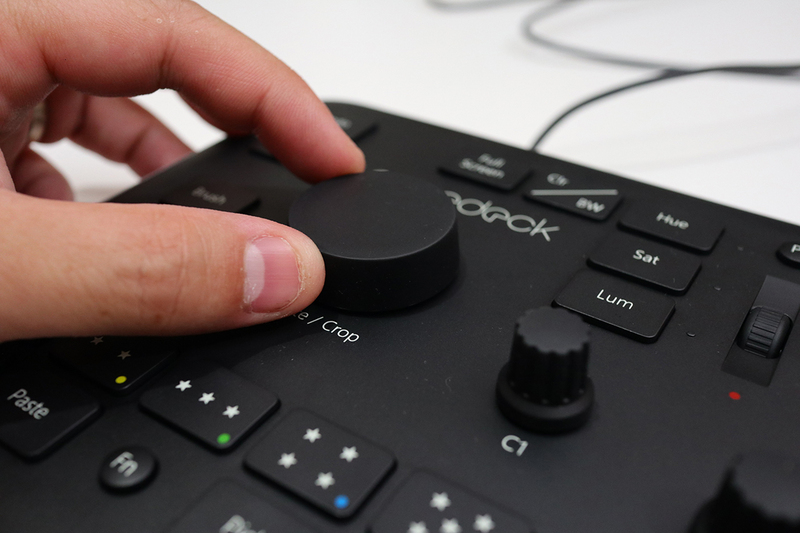 To download the software, you'll have to go to http://www.loupedeck.com/setup/. Here is a full view of the Loupdeck. The buttons and look is laid out nicely. There's enough spacing around the buttons where they're not too close and not too far apart. Working from left to right, you’ll find the undo/redo buttons up at the top left, with a brush button below that’s used to toggle between the adjustment brush and general settings in the develop module. To the right of this is a circular rotate/crop wheel, with star rating buttons beneath to select favorites from a batch. There’s no dedicated button to remove a rating, however, so if you assign a five-star rating then you’ll need to use the five-star button again to remove it. If you prefer to filter your favorite images from a batch based on color, there’s the option to toggle between star ratings and color ratings with a separate button. Under the rating buttons sit copy and paste buttons to reapply identical settings to another image, including any localized adjustments. There are two zoom buttons that can be used to inspect an image at 100%, plus a useful convert to black-and-white button too. On the far right you’ll find four knobs to tweak white balance, tint, vibrance and saturation settings. In addition to all the controls mentioned above, there’s a before/after button to compare an edited image with the original, as well as directional buttons that are useful for quickly navigating images in the grid and loupe views within Lightroom’s Library module. 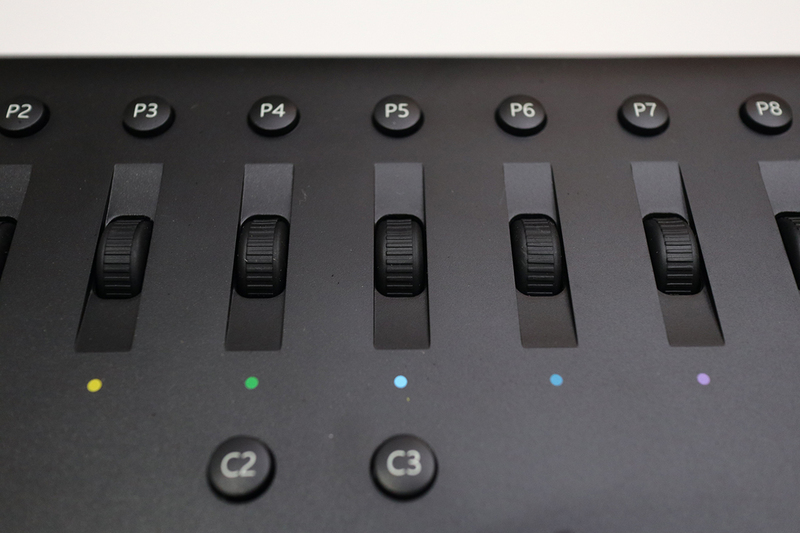 In the center of the board, towards the bottom, you get two rows of knobs to control frequently used Lightroom sliders such as exposure, contrast, clarity, shadows, highlights, blacks and whites. Above these are eight vertical scroll wheels, which are used to tweak the Hue, Saturation and Luminance of color in an image. 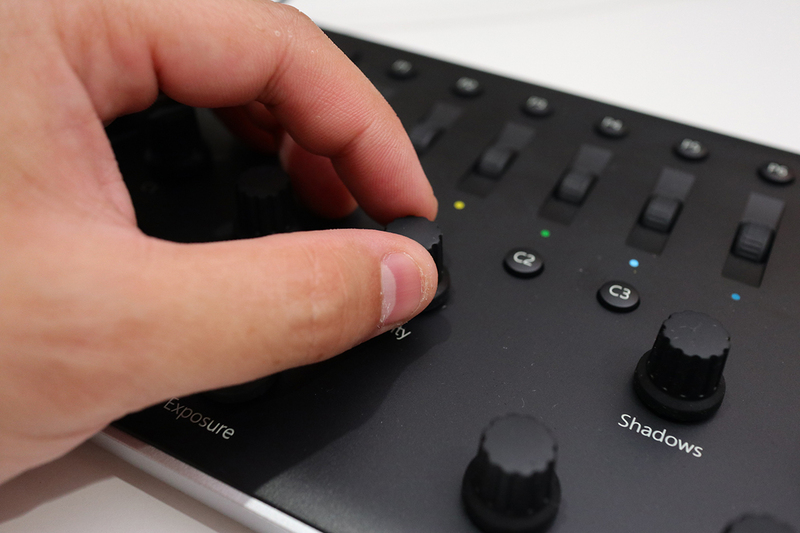 These are entirely separate to the eight programmable preset buttons positioned above that are used to apply user- or ready-made Lightroom presets. 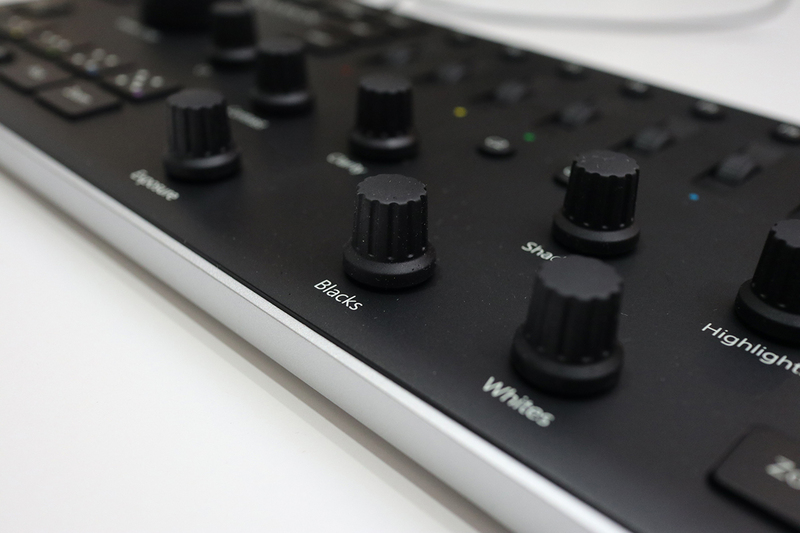 The customizable Fn button between the copy and paste and pick and zoom buttons works in tandem with the custom C1 knob and C2/C3 buttons. When depressed it performs the secondary functions to which the C1 knob and C2/C3 buttons are assigned. 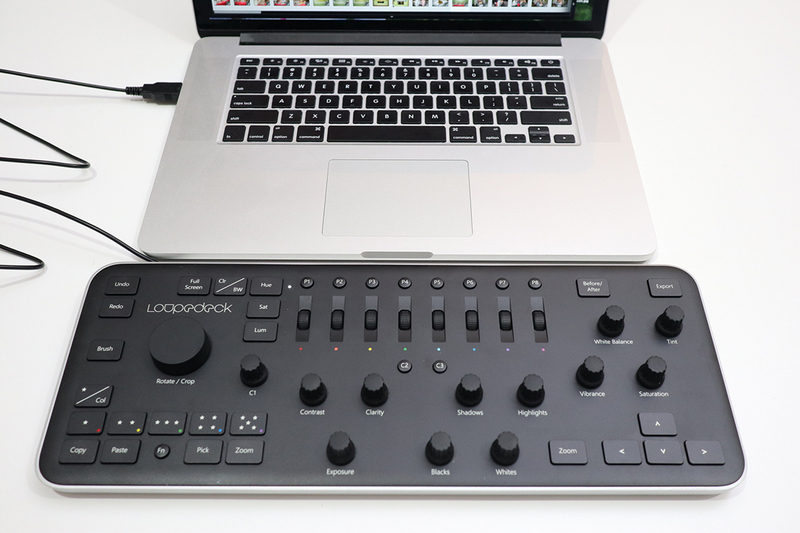 Here is a size comparison of the Loupedeck with my 15" Macbook Pro. It's not that much bigger in terms of width and thickness. 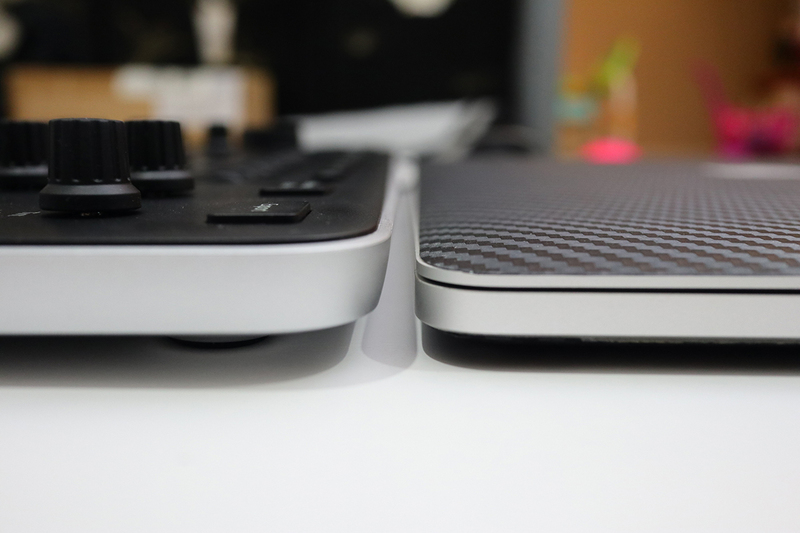 For me, I have the Loupedeck sitting right near the trackpad. This way, it is sitting in front of me and if I need to use the keyboard or trackpad on the Macbook Pro, I can easily just reach up. 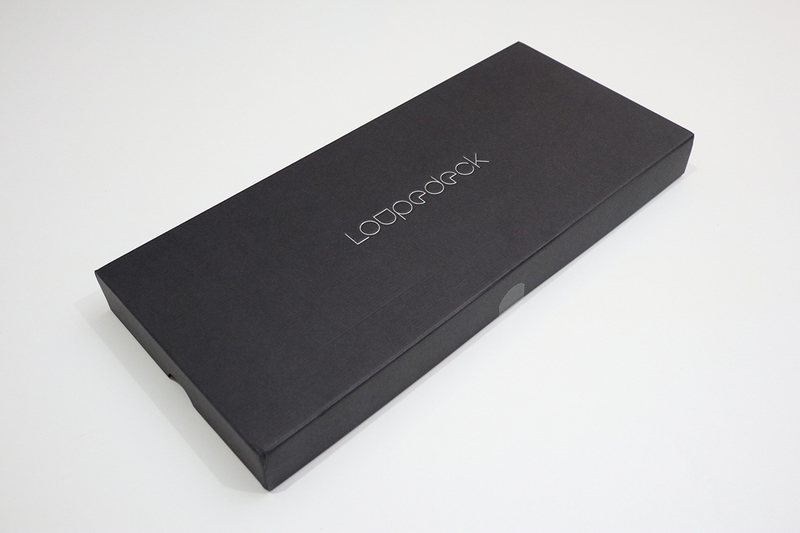 The Loupedeck connects to your computer via regular standard USB-A cable. The USB cable is fairly long so you won't have any issues unless your desktop is further away. On the underside of the Loupedeck, you can route the cable either coming out through the top or from the side. It all depends on how you have it setup. So if you're going to have it setup in front of a Macbook, you'd want the cable coming out from the side so that it is not in the way. 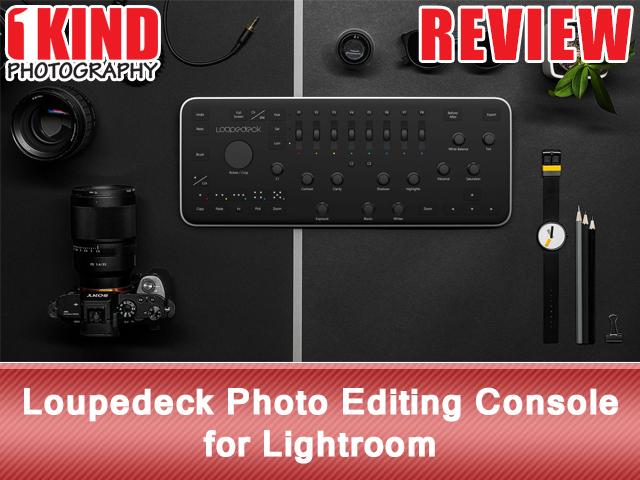 Conclusion : Overall, the Loupedeck Photo Editing Console for Lightroom is a must have if you do a lot of editing in Lightroom. I love that there are dedicated buttons, dials and wheels and I don't have to fiddle with typing in numbers or moving sliders with a mouse. This makes editing a lot quicker and more streamlined.